Married at First Sight casting is now looking for courageous singles from Charlotte, NC, to participate in the extreme social experiment. Married at First Sight will be filming a new season in Charlotte, and casting for the popular Lifetime reality series is currently underway. According to the application, potential cast members must be available during the following dates for interviews in 2019: February 6-11 and March 21-31. An image was also posted on the Facebook casting page earlier this month that reads, "Single and brave? Appear between 26 to 40? Live in the Charlotte area? Exhausted all dating options? Ready to find the love of your life? We want to hear from you!" The show has seemingly raised its cap on age limitations, as the previous casting call in Philadelphia, PA, asked for singles who appear to be no older than 35. Married at First Sight typically changes its filming location each season, with previous editions having taped in cities such as Atlanta, Miami, Chicago, and Boston. The show's seventh edition, which recently wrapped, was filmed in Dallas, TX. Married at First Sight features several experts matching up six strangers based on their compatibility, physical type, goals, hobbies, religion, views of marriage, and more. Three couples then tie the knot after meeting each other for the first time. Married at First Sight's seventh season ended with all three couples -- Tristan Thompson and Mia Bally, Dave Flaherty and Amber Martorana, and Bobby Dodd and Danielle Bergman -- choosing to stay married on "Decision Day." However, Mia filed for divorce from Tristan in early September once cameras stopped rolling, and Dave announced on the reunion special that aired earlier this week he intends to file for divorce from Amber and there is no hope of them reconciling. 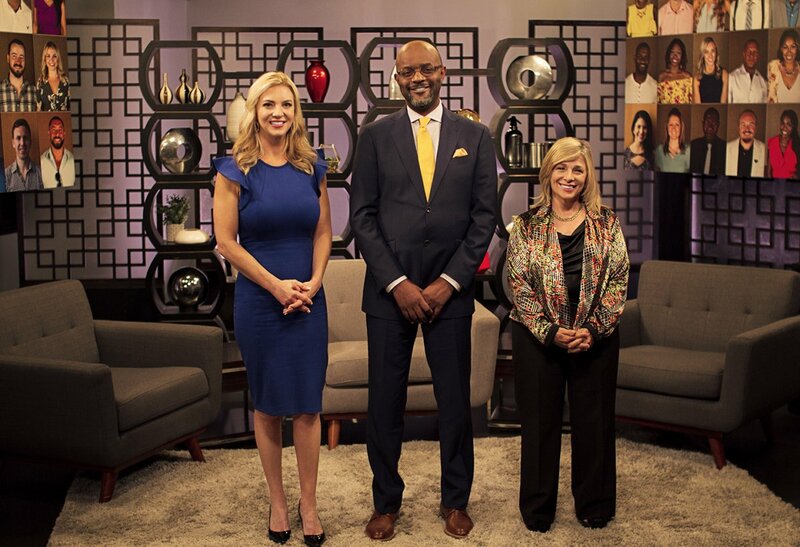 For the Dallas season, the experts who matched the couples were Dr. Jessica Griffin, a Boston-based psychologist and professor who previously appeared on FYI's Seven Year Switch reality series; sociologist Dr. Pepper Schwartz; and marriage counselor Pastor Calvin Roberson. The only couples still together to this day from the Married at First Sight franchise are Jamie Otis and husband Doug Hehner, Cortney Hendrix and husband Jason Carrion, Ashley Petta and husband Anthony D'Amico, Shawniece Jackson and husband Jephte Pierre, and now Danielle and Bobby. Married at First Sight's eighth season, which is set to premiere in January 2019, is expected to take place in Philadelphia, PA. The network teased last week that next season will be the franchise's "biggest" one yet. Back in April, the series announced casting for the next edition was underway, and the application disclosed interviews would be taking place in July 2018. One month later, Dr. Jessica shared photos of herself with Dr. Pepper, posing in front of Philadelphia's "LOVE" sculpture landmark on Instagram.